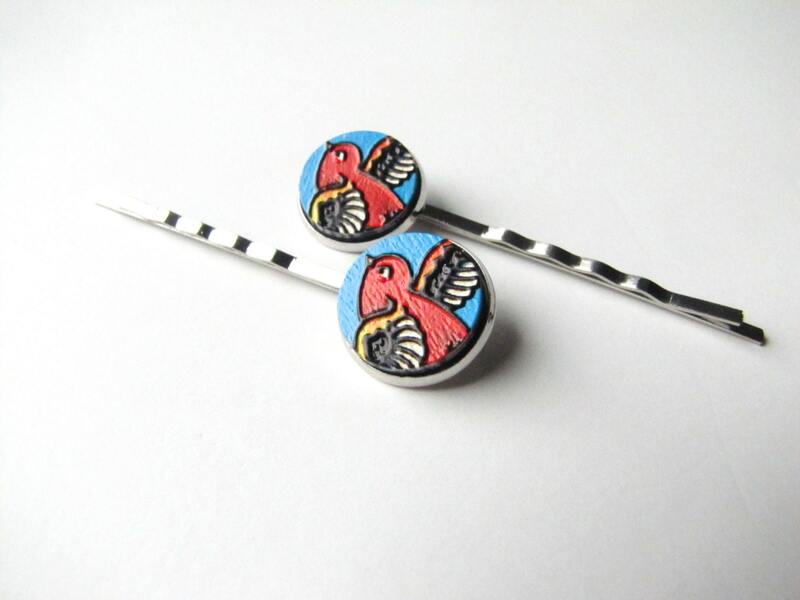 Adorable bird bobby pins. 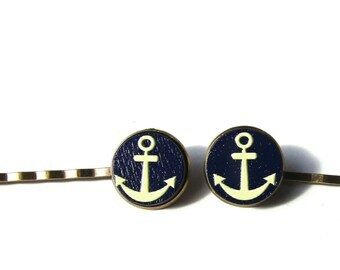 I've used embossed wood cabochons on bezeled bobby pins in your choice of silver plated or antiqued bronze tones. This adorable red bird has a touch of yellow and black, and is shown in flight against an aqua blue sky.